We don’t have any more new Doctor Who this year, since season 12 won’t be on our screens until 2020, but instead we’re lucky enough to have some new old Doctor Who. Starring Patrick Troughton as the Second Doctor, “The Macra Terror” sees the TARDIS visiting what appears to be a utopian vacation resort in the far future. The only hitch is that terrifying crab-like creatures stalk the camp at night, while the inhabitants are denying that the monsters exist. This sounds like a job for a Time Lord. With “The Macra Terror” arriving on DVD and Blu-Ray soon, Digital Spy has now shared an exclusive clip from the story which teases the animation used to bring it to life. The 1:14 minute clip sees the Doctor speaking with the prisoner Medok who’s been locked up for raving about the creatures he’s seen in the dark. Unfortunately, we can’t embed it here, but you can check it out by following the link down below. In related news, at a recent screening of the recreation, former companion Anneke Wills revealed that she struggled to watch the recent eleventh season of the modern series starring Jodie Whittaker. Though she praised the actress, Wills admitted that she couldn’t get past the first episode as it just wasn’t her Doctor Who. That’s a shame, as the 21st century series has been known to draw inspiration from Wills’ time in the TARDIS. 2007’s “Gridlock,” for example, which stars David Tennant, brought back the Macra 40 years after they first appeared in this very story. 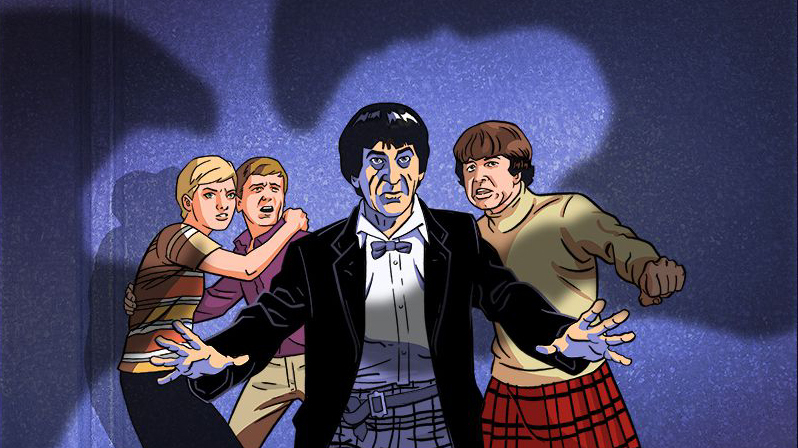 Doctor Who “The Macra Terror” is out on Blu-ray and DVD from March 25th in the UK. Will you be picking it up, though? Be sure to let us know by dropping a comment down below.